This custom bobblehead is in a female dancer theme. Do you know a woman that knows how to 'twerk it out'? 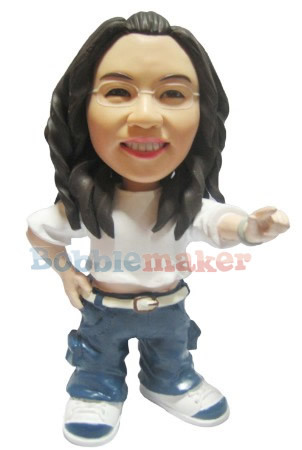 Then let her know that you've noticed by gifting her this custom bobblehead with baggy jeans and a white t-shirt!